Never Enough Nails: NOTD and Giveaway Winners!!! So I wore this gorgeous combo the other day and wanted to share! Zoya Breezi with Nubar 2010!! I took these pictures indoors, at night, so sorry about the not so nice quality. We've been having rally gross cloudy and rainy weather, so I really have not been able to take good pictures for a few days. This is way prettier in person!!! I also wanted to announce the giveaway winners, as I've heard back from both of them now. 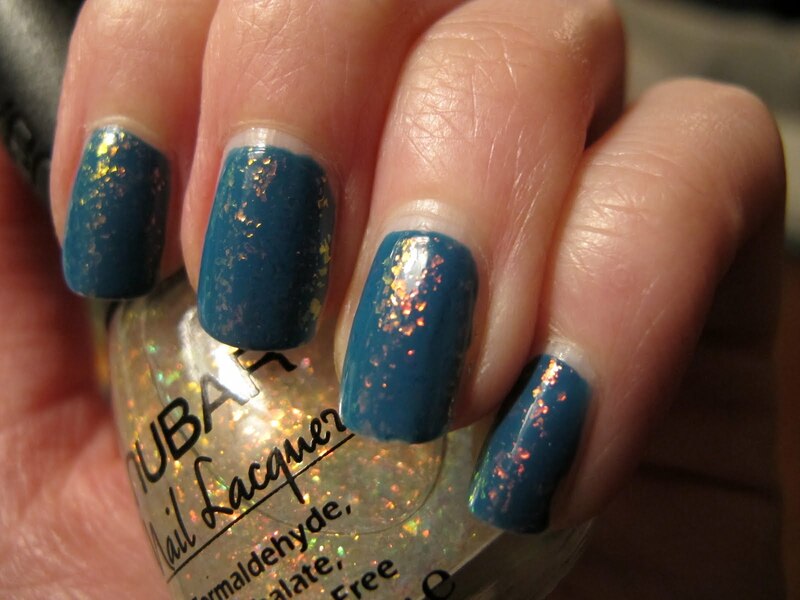 The Julep Giveaway winner is Chris from Lacquerware for Tips and Toes! The Apothica gift card winner is Wendy from Giveaway Gathering! Congrats ladies! I do have another giveaway, hosted by me this time, coming up very soon. Probably starting Monday of next week! So stay tuned! Nubar 2010 is great. 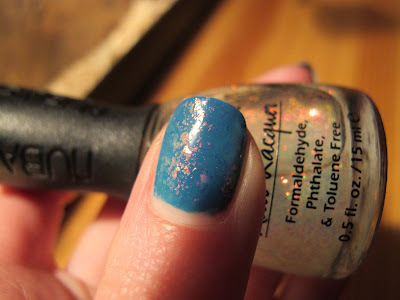 But I now mattify my flakies and think it makes them even better. I like your combination for NOTD! That is a nice combination! 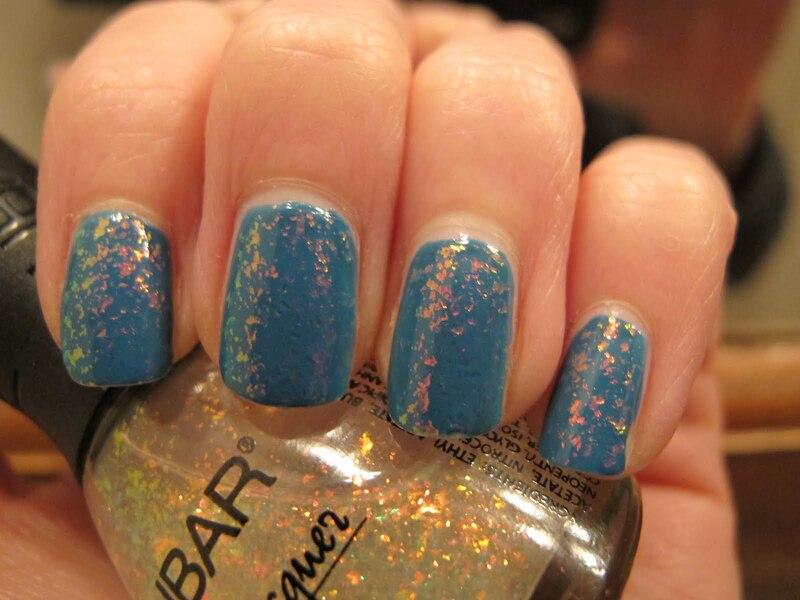 Also, I bet the Nubar and Zoya combo is very hot in person - it transfered very well to photos - but I get that a lot, I love what something is doing on my nail in person and I never feel I can quite capture the effect in a photo. Jaljen- I love to mattify my flakies after wearing the Mani for a few days to change it up. They look so cool matte! Thanks KarenD! What's your favorite flakie combo? Rock-or-not- thanks, I love both of them polishes! Lacquer Ware- you're welcome! And I think the pictures would have been better in the daylight! Maybe next time I wear this combo! Thanks ladies! Stay tuned for a giveaway this week!